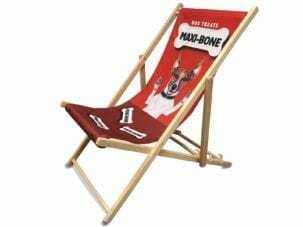 We manufacture a popular range of Custom Deckchairs and Custom Directors Chairs, as well as soft signage seating such as bean bags and cubes. We use FSC Certified wood and heavy-duty outdoor fabrics, printed in full colour to your specifications. 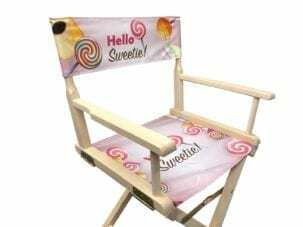 Full colour printed seating including Personalised Director Chairs, Branded Deck Chairs, Foam Cubes and Bean Bags. For chairs we use FSC Certified natural wood and print onto a strong canvas fabric. Order from just one to hundreds. Printing is performed using our dye-sublimation method which produces deep, vibrant colours and pin-sharp resolution for your designs. Whilst many ‘personalised’ printed seating products available only allow you to add a name or a small logo, our products are full colour, full coverage with any design you create. Artwork templates are available to download on each product page in PDF format. Our fabrics are all fit-for-purpose, waterproof where necessary and all flame retardant. Covers are stitched for strength and can be removed for machine washing at 30 degrees. We supply major brands with these products and deliver all over the world, but also provide single items for your special occasions at the most competitive prices available.